ORGANISERS of the 2018 Scottish Rural Parliament, which takes place in this region in three weeks, have urged community groups, organisations and activists locally to make sure their voice is heard by attending this year’s ‘critically important’ event. They say there has never been a more important time for rural Scotland to speak up and they hope their theme of “Taking Action” has been developed to empower rural Scotland in the face of unprecedented constitutional, structural and funding changes. Emma Cooper, above, chief executive of Scottish Rural Action, the organisation that runs the Scottish Rural Parliament, said: “There has never been a more important time for rural Scotland to come together to speak with one, powerful voice. Whatever your views on leave or remain, Brexit will result in unprecedented change in Scotland’s rural areas. It is critically important for rural Scotland to organise and take action to prepare for these changes. 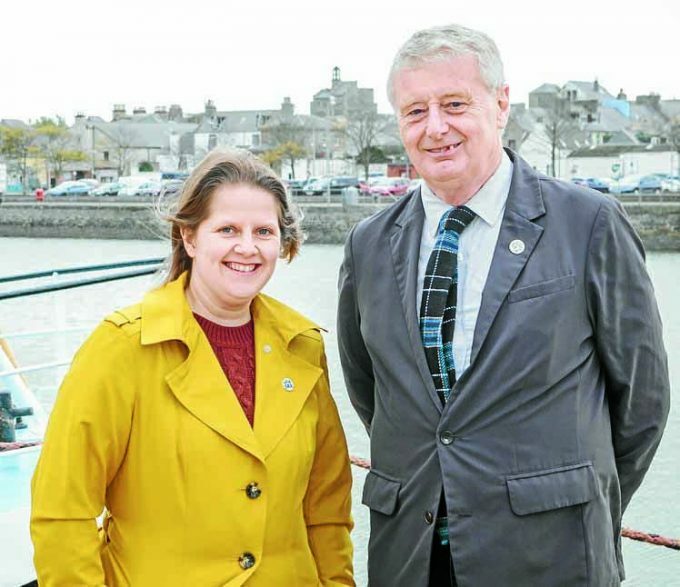 The Scottish Rural Parliament will run from November 14-16 in Stranraer with a focus on participatory democracy, allowing grassroots organisations to share their ideas and opinions. The potential disruption from Brexit to rural policy and funding structures will be examined at the event. Speakers will include Michael Russell MSP, Cabinet Secretary for Government Business and Constitutional Relations; Mairi Gougeon MSP, Minister for Rural Affairs and the Natural Environment; Colin Smyth MSP, Labour Shadow Cabinet Secretary for Infrastructure, Connectivity and Transport; Andy Wightman MSP, Scottish Green Party spokesman for Communities; Land Reform and Local Government; Robin McAlpine, director of the Common Weal think tank and journalist; and commentator Ruth Wishart. Peter Ross, chair of Dumfries and Galloway’s Leader Action Group who are co-hosting the event, said: “We are very much looking forward to welcoming the Scottish Rural Parliament to Dumfries and Galloway.